Extra special thanks to host Chloe Frieda and producer Padraigh for having us and make sure you pre-order the new LP from Ommm, coming soon on the Alien Jams label! There’s other news this month, both very good and slightly bad. 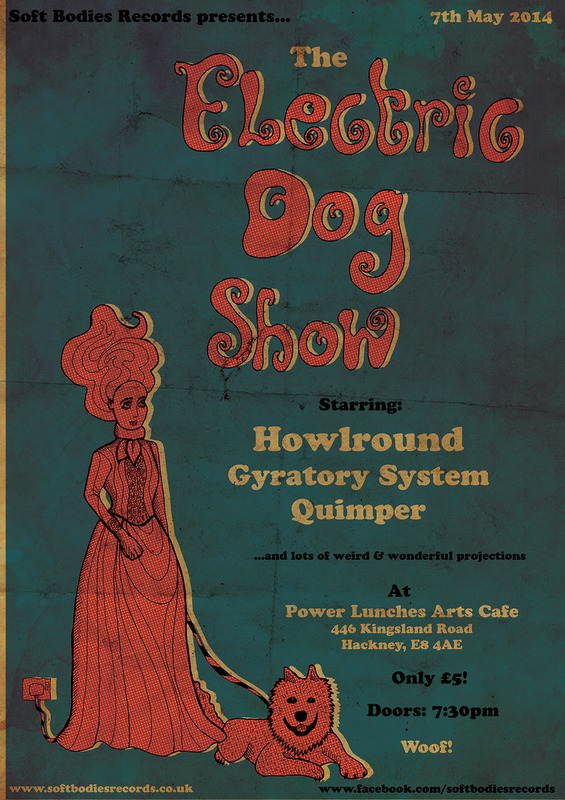 The very good news is that we’re excited to be playing The Electric Dog show at Power Lunches in Dalston on May 7th. Brought to you by Soft Bodies Records, we’re playing alongside Quimper and Gyratory System and it looks set to be yet another killer line-up to be slotted into! Further details here and there’s also a Facebook Event Page as there so often is with these modern events. The slightly bad news is that this will be your last chance to catch Howlround live for the FORESEEABLE FUTURE! But before your throw up your hands and commence wailing and gnashing, I must reassure you that this is by no means the end of the our tape loop adventures, though given that I’ve just been boasting about playing exclusive new material from a forthcoming release, you may already have picked up on that. Aside from avoiding very real damage being caused to our quartet of Revoxes every time they leave my studio (not to mention our spines! ), we’ve decided that now is a good time to hunker down and concentrate on building a solid repertoire of tape music while they still just about work. That way, when each machine is assumed into Revox Heaven (and the day cannot be that far off), we’ll have lots and lots of material in reserve that we can release posthumously in a steady drip-feed, while raking in the cash. A bit like Tupac. Oh, and Chris is moving to Dubai. Did I mention that?